ProSource® of Edmonton experts are ready to help you with whatever wholesale flooring questions you and your client may have. We’ll help you find the best carpet, hardwood, laminate, tile, and vinyl products for the space you’re renovating. No matter the lifestyle needs — waterproof, scratch-proof, spill-proof, or heavy-traffic proof — our selection won’t disappoint. You deserve superior service, and you’ll receive nothing less than that from the team at ProSource. You’ll be wowed by the vast flooring choices, low prices, and personalized attention we provide for your home remodeling project. Whether the need is a high-performance carpet for heavy traffic or a designer look for eye-appeal, carpet is a great choice. It can be run wall-to-wall or cover a space when bound into an area rug. 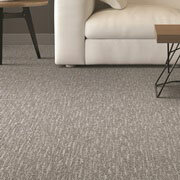 Today’s carpet provides numerous options through its colors, fibers, and designs. It’s a choice that never goes out of style. Wood offers so many possibilities. 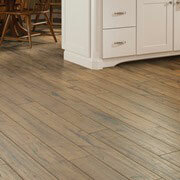 No matter the choice (solid, renewable, or engineered), hardwood flooring can serve up lasting character to a room. 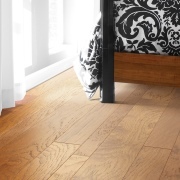 From the traditional look of medium toned oak to the trendy appeal of grey hickory planks, and everything in-between, hardwood is flooring with staying power. 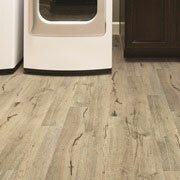 Laminate flooring is an economical alternative to hardwood or tile, yet still provides the desired look. Despite its low price, laminate looks authentic and is durable, making it a viable choice for multiple rooms in any home remodel. The versatility ensures it will always be a top consideration for home improvement projects. 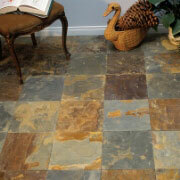 Get creative with ceramic, porcelain, or glass tile in a variety of shapes and sizes. From small mosaics to subway tile to long planks, and just about any geometric shape imaginable, tile provides unique looks for floors and walls, inside and outside of the home. The popularity of vinyl can be attributed to its ever-growing number of options. You’ll reduce the cost of your project but not its quality when you use luxury vinyl tile (LVT), luxury vinyl plank (LVP), engineered vinyl plank, engineered stone, or sheet vinyl. New technology means these affordable options can not only look like ceramic tile or hardwood, but feel like it as well.